Blaze and the Monster Machines Happy Birthday Add Age Party Banner Decoration. 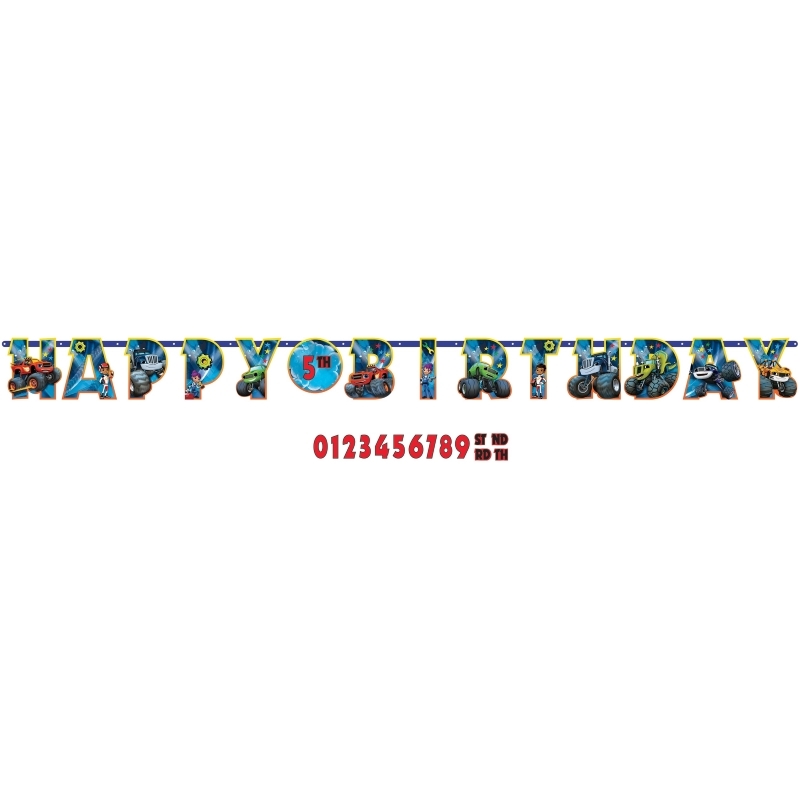 Design includes Shaped Blaze and the Monster Machines Cutouts reading Happy Birthday, with a kit for you to Add your required age to the Banner. Inspire your Party with Blaze and the Monster Machines Decorations! More matching Blaze and the Monster Machines Themed Party items are available in our shop.